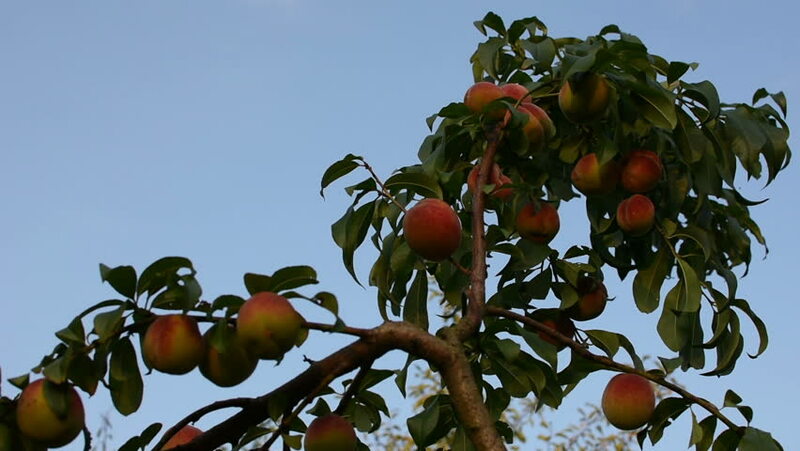 A man picks up peaches from a tree in the garden. hd00:14Orange fruit. Orange tree with fruits. Spain.